If you own a farming, ranching or other agriculture business, you know just how much time and energy you must invest to make your business successful. Often, this includes investing cash into your farm or agribusiness to keep it running smoothly. Working in the field and taking care of livestock are full-time commitments, meaning you likely don't have time to wonder how to get a farm loan. You need an agriculture loan from a lender you can trust to understand how the agriculture industry works. When you work with National Funding, you can rest easy knowing we have many years of experience in providing loans and financing solutions for those who work within the agriculture, ranching or farming field. We can help you to achieve your short, medium and long-term financial goals, all while minimizing the amount of time you have to spend thinking about the business side of your operation. 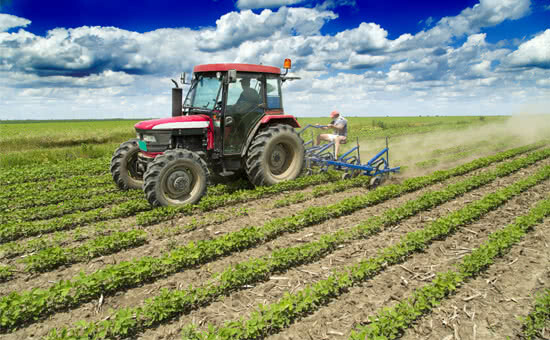 Plus, we make it quick and easy to access an agriculture business loan. Apply online: Start the process by applying online via our secure website. Unlike traditional lenders, like banks or credit unions, we will only ask for necessary information related to your loan application. Provide documentation: We will need your last 3-months bank statements for your business, plus the cover page from your last tax return.Once this is provided to us we can make a firm lending commitment and provide you with all of the relevant details surrounding your proposed agricultural business loan. Get the cash you need: With funding available fast, you can access the cash you need to support your continued business operations. We don’t make you wait weeks or months for a loan approval. Purchase new or used equipment: A farm or agricultural business requires machinery, tools, equipment, and more, to ensure safe and efficient completion of tasks. If you are looking for a way to increase your level of competitiveness within your field, consider our equipment financing or small business lending solutions to help you purchase the tools or equipment that you need. Hire staff members: More workers on the farm equate to increased production, so make sure that you maintain an adequate level of staffing at your agricultural business to ensure consistent results. You can also use your small business capital to train new workers or increase wages to enhance retention and performance. You work within a field that does so much good for humanity. By providing agricultural products like fruits, vegetables, and meat products for the general public, you literally feed the nation. Be sure that you operate as efficiently as possible and tackle all of your short, medium, and long-term financial goals, by partnering with us today. Apply online today to learn more about our agriculture business loans. There is no obligation to get started, and no need for collateral or a down payment. Click or call and receive a quick decision and funding in as little as 24 hours1.